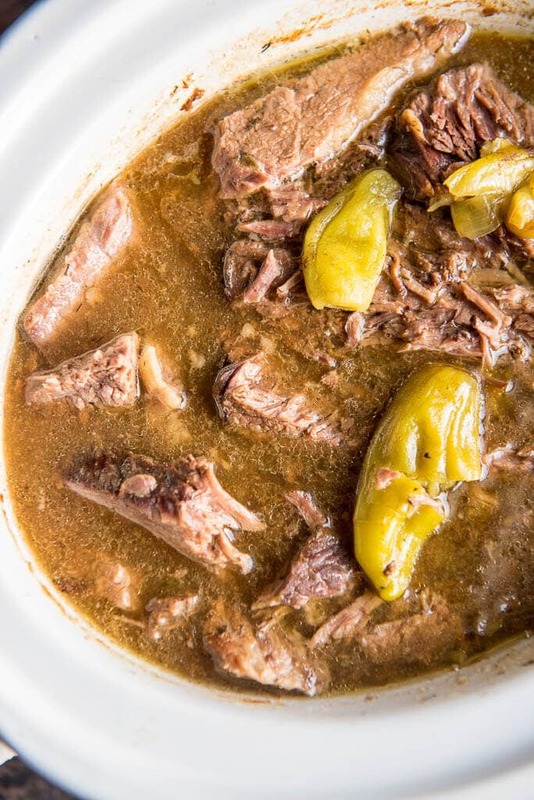 Slow Cooker Mississippi Pot Roast is a simple way to take your dinner from average to amazing! 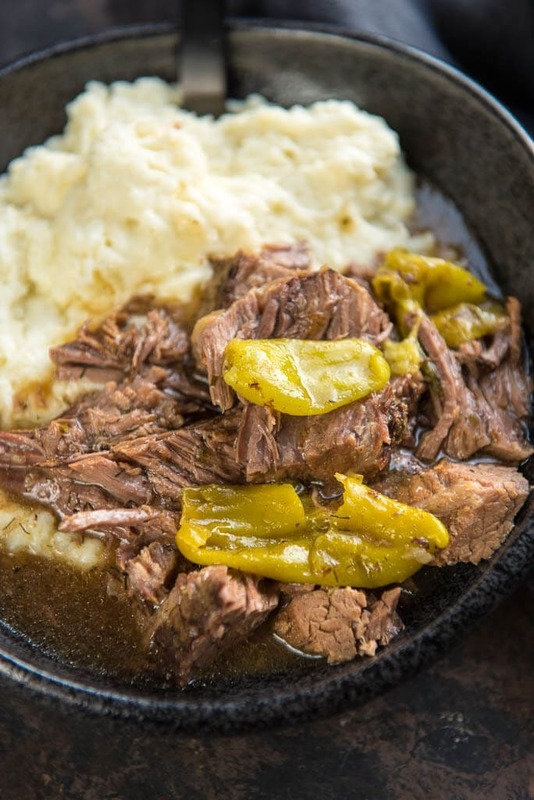 Mezzetta Peperoncini Peppers give a tasty twist to roast beef for the ultimate family meal. You can learn all about one of my favorite “secret” ingredients here! And bonus? Not only can you enter to win 52 meal kits from Chef’d (seriously!) but everyone gets a coupon too! So let’s get to it! Time for me to let you in on a little secret that takes a family dinner from boring to amazing in one simple step! 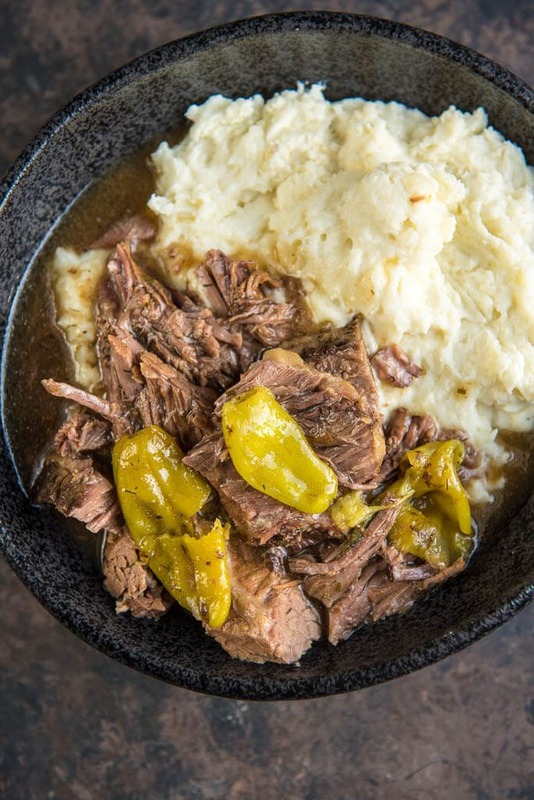 That’s right, take a regular old pot roast and turn in into something your family will actually crave by adding some golden flavorful peperoncini peppers. Everything you’ve seen is true. 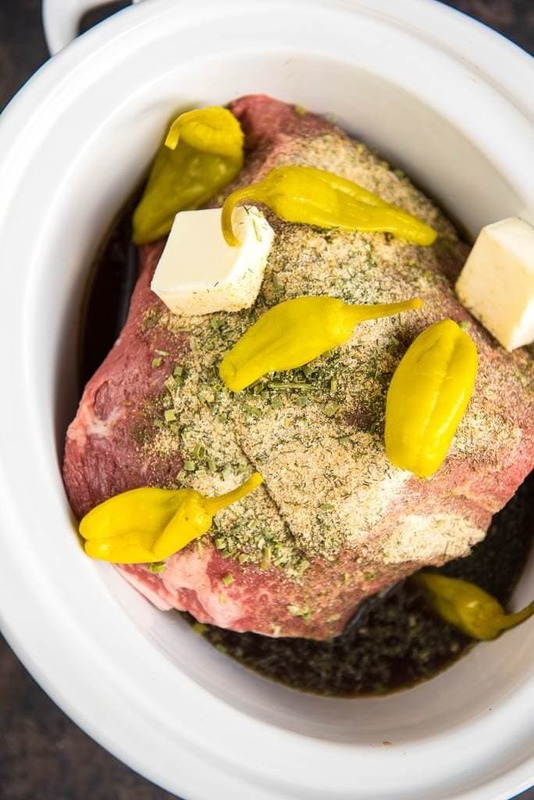 Slow Cooker Mississippi Pot Roast may have recently exploded in popularity but let me assure you, it’s no gone tomorrow fad. This is a truly delicious way to get dinner on the table and is so simple that there’s no need to wait for Sunday, you can have this any night of the week! 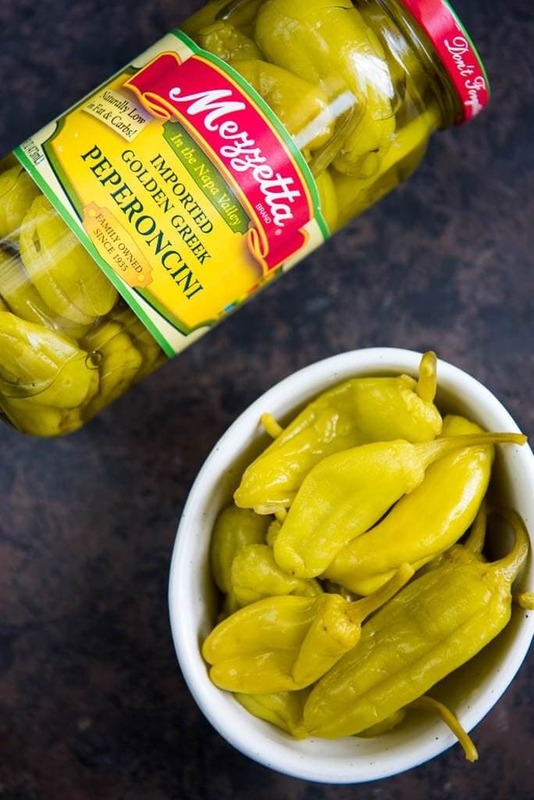 So go ahead, buy that jar of Mezzetta Peperoncini Peppers you’ve been craving and use this recipe to get the bottom of the jar while making your dinner something totally crave-worthy! I’ve been testing out this recipe and have found the best way to maximize flavor while minimizing the time and number of ingredients needed. 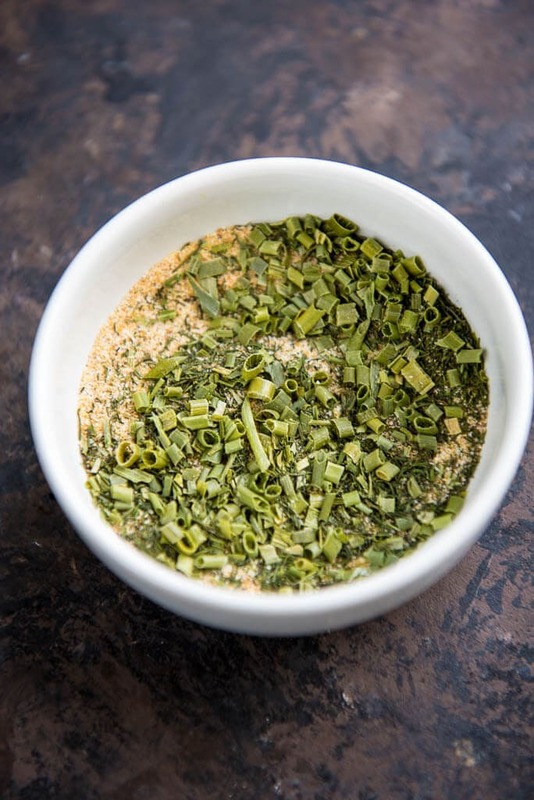 I’m all about using ordinary ingredients you have on hand to make extraordinary meals. This roast uses a homemade seasoning blend instead of packets and comes together with just a few ingredients. I’m also all about the least amount of prep work, so here, there isn’t any pre-cooking involved. 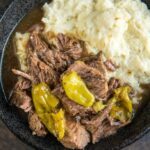 Simply take a few minutes to get everything added to the slow cooker in the morning and you will end up with a delicious dinner when you walk back in the door after a long day. 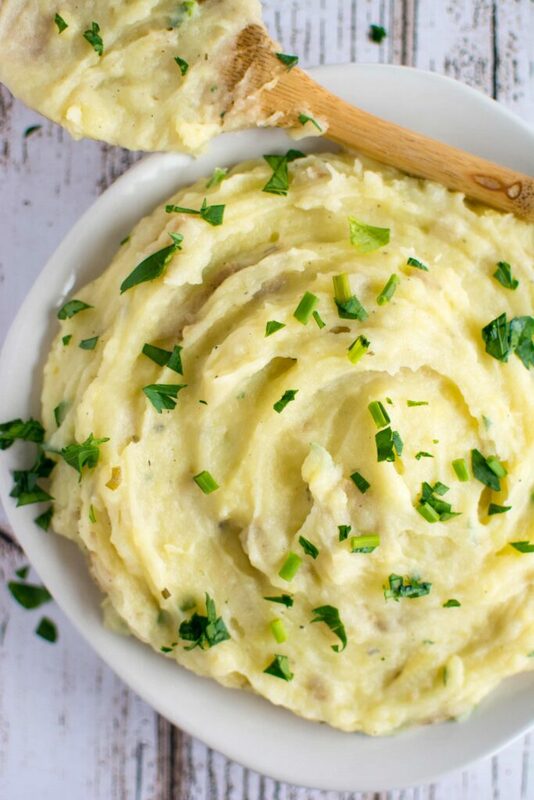 Serve it all up with some of my favorite mashed potatoes or even just some noodles or rice and I can practically guarantee your family will be drooling. And yet another key to a perfectly made pot roast? The internal temp of the roast should be 205 degrees for maximum shredability. This is the point at which the meat is tender enough to totally fall apart. Totally worth the wait. Serve it up topped with plenty of extra peppers for even more flavor. 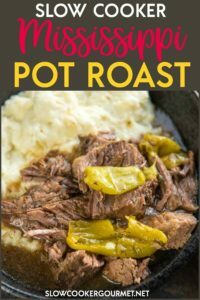 Your family will never think of pot roast the same way again! 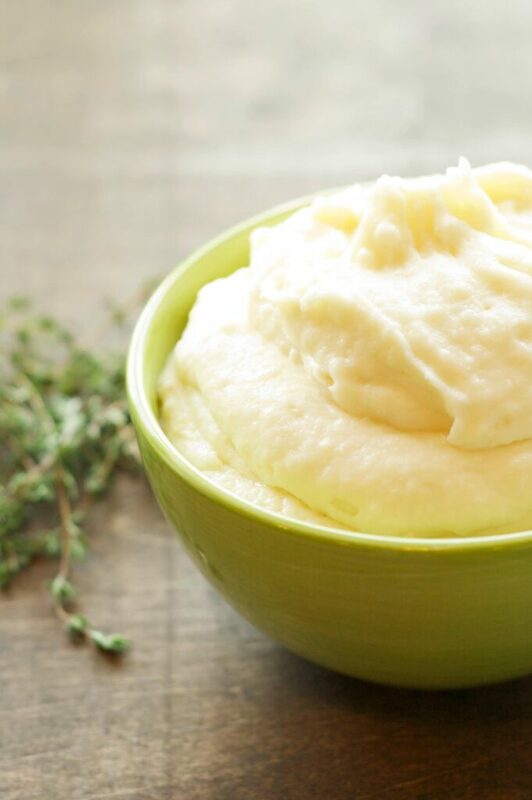 Serve this up with some of my favorite mashed potatoes!